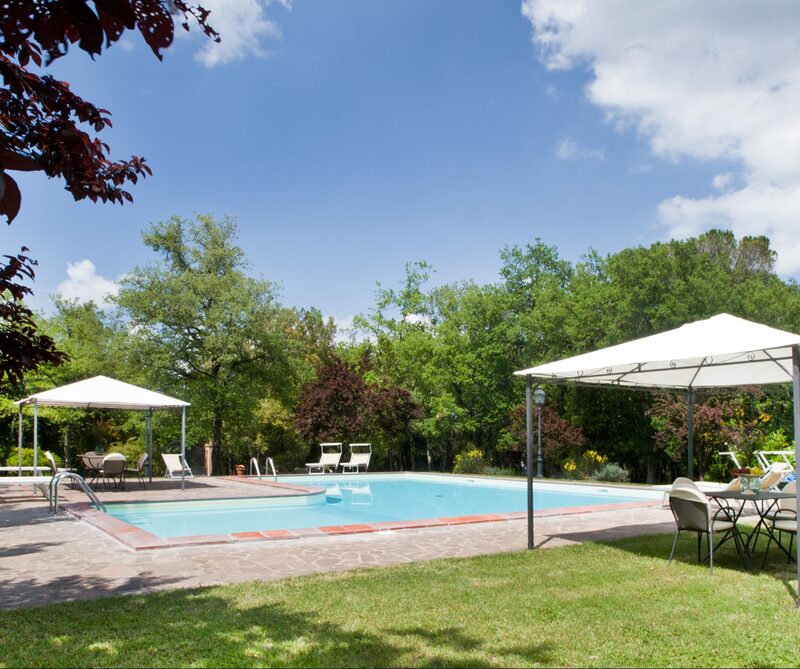 The guests of our holiday farm I Pianelli are welcome to use the lovely pool with green spaces, surrounded by centuries old oaks and olive trees. 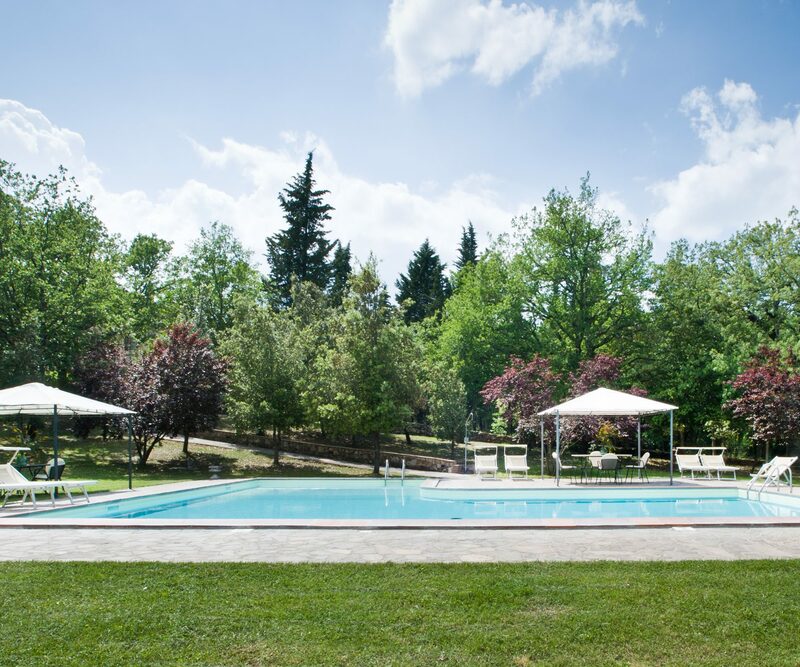 The pool, which enjoys gorgeous views over the surrounding hills, is in the sun from the early morning to the late afternoon. Indeed, a unique and very quiet location. 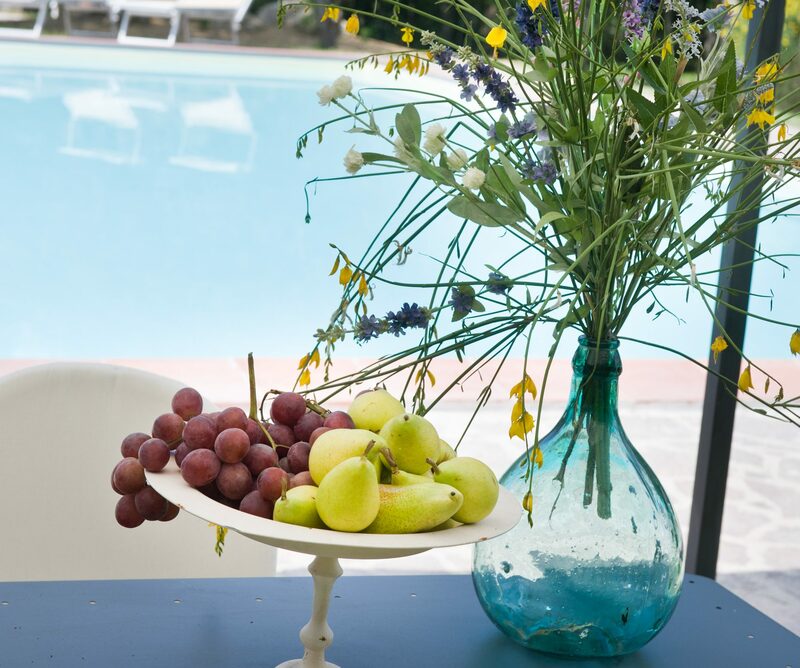 How to get a great start to your day We pay much attention to breakfast details, in order to help our guests begin their days in the most pleasant way. 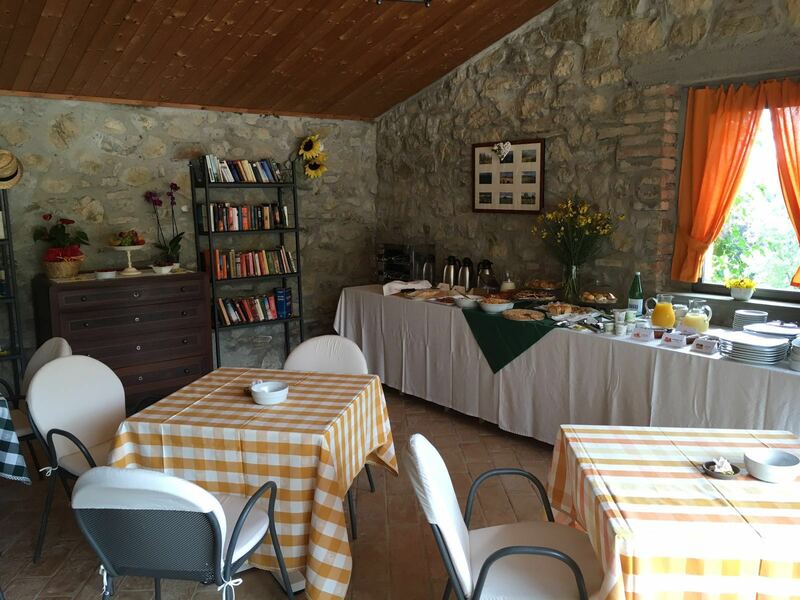 Every morning we are happy to offer a rich buffet in the breakfast room, that includes a wide selection of genuine, high quality both savory and sweet food. In the surroundings of the villa you will find a grassy five-a-side football pitch. A good chance, not only for sporty people, to play football every day, along with adults and kids. 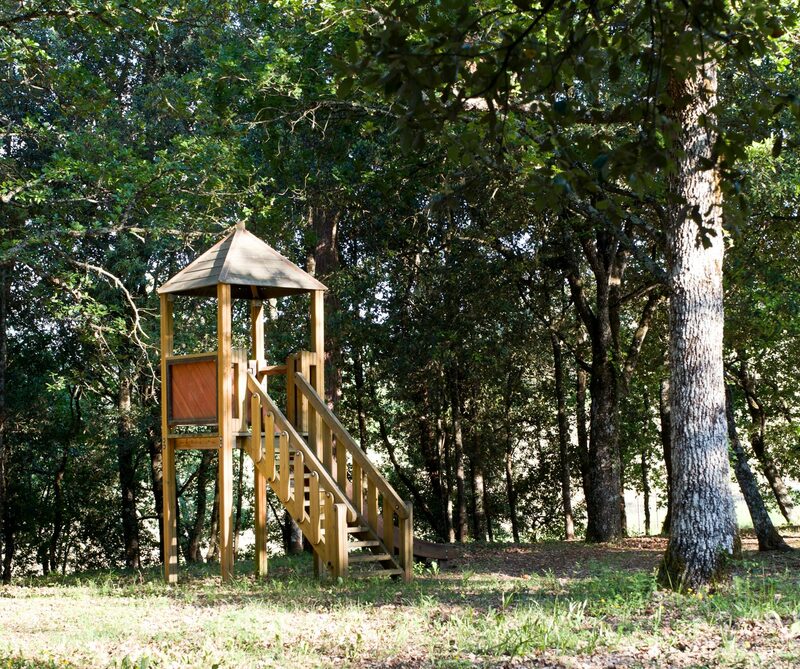 We are happy to provide our guests with a playground for both adults and children. 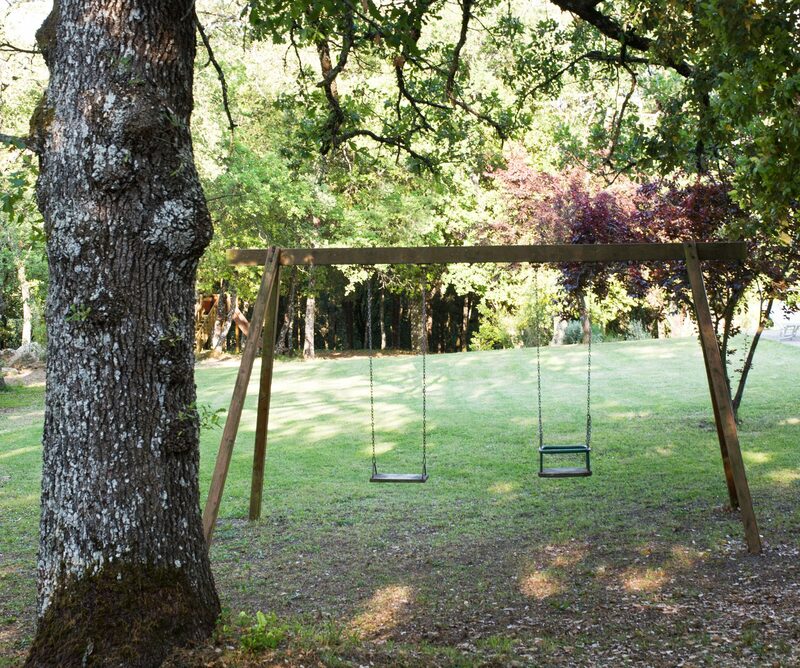 It is an ideal spot for relaxing and playing along with your kids. You will find a wide range of playing options, including swing, slide, board games and playing cards. 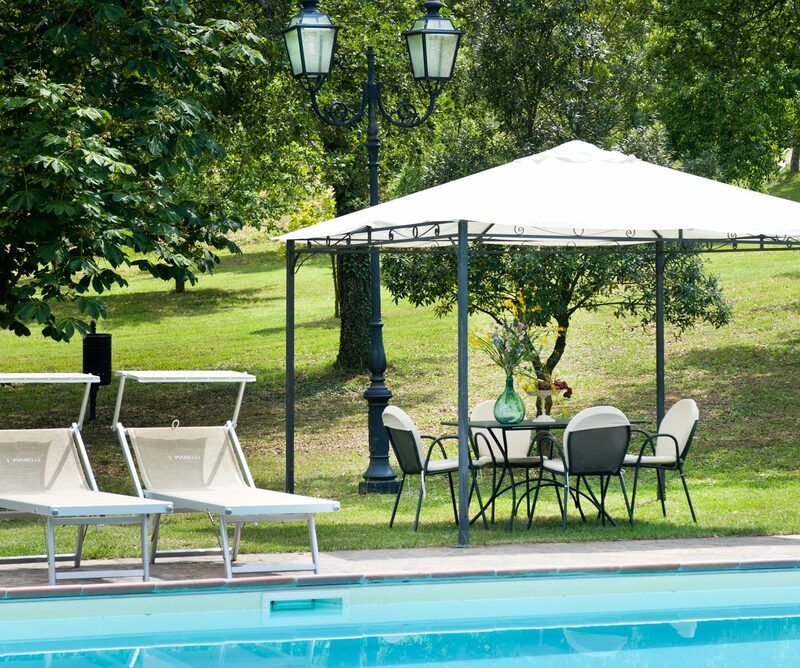 Our guests are also welcome to enjoy some additional outdoor facilities, like football table and table tennis, situated just next to the football pitch. If you are a mountain-bike lover, you have just got to the right place! Well trained mountain-bike riders may follow a marked forest trail inside our property. Alternatively, they can just follow the most scenic trails in the surrounding countryside. 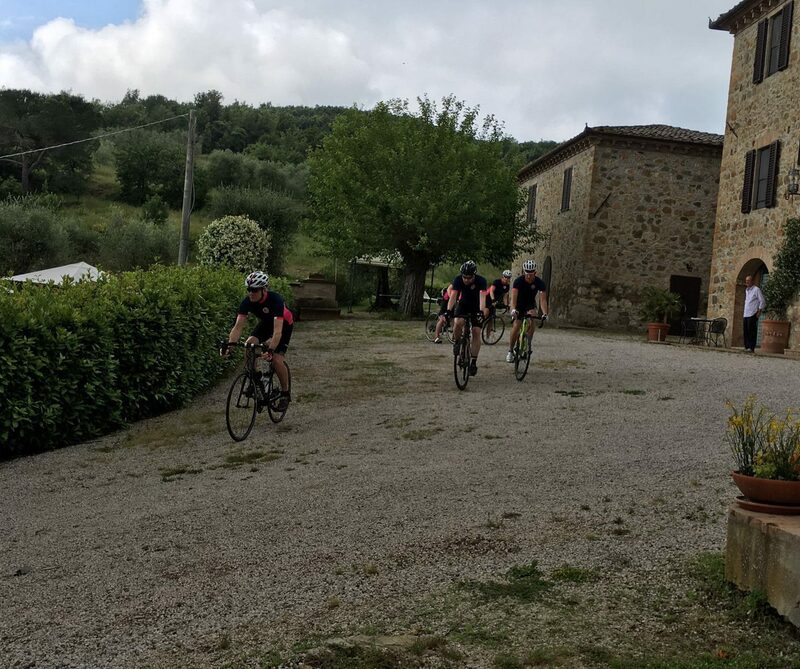 Riding across tiny villages and rolling hills is an ideal way to discover such a beautiful country area. 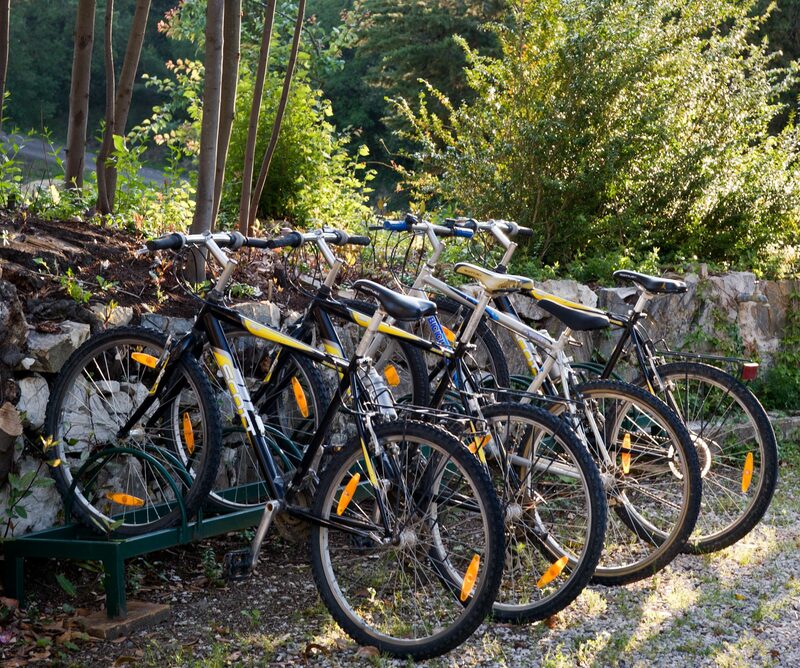 For those who did not carry their own bikes, some basic mountain-bikes are available for free in our farm stay. Plus, mountain-bikes with pedal assistance can be hired upon demand. Some barbecue spots are available for those who are keen of outdoor cooking and grills.